Even though I’m a digital designer and I know poor UX or inaccessibility is not the user’s fault, I still end up feeling like I’m the one who is stupid when I can’t figure out how to work a site. How unfair is that! With more major retailers losing court cases in battles over website accessibility, I’m wondering how much longer it will be until I can feel a real presence of user-focused designers on the web. Preventing users from feeling stupid is my #1 reason for wanting to be a digital designer/marketer. Whether that’s in the form of being a UX designer, a front-end developer, digital marketing expert – those roles all have the capacity to change the web! It makes me particularly angry when I’m trying to do something simple and give a company my money, and I can’t figure it out. Searching for a rug online has been an interesting study in usability among major brands. I wanted something specific: an 8×10 wool area rug under $300. Why do I want a wool rug, you ask? 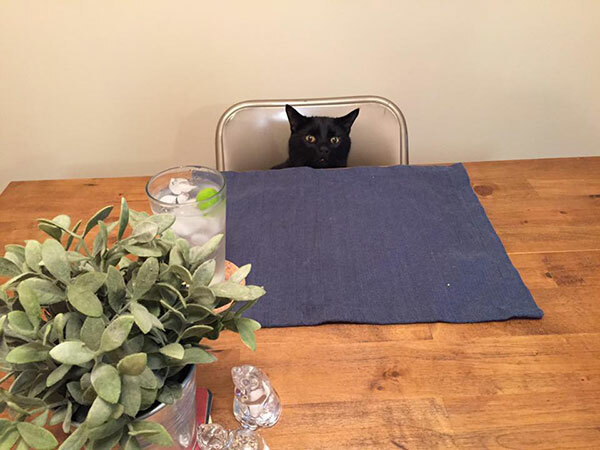 Because my cat, Alan, is a jerk and he refuses to barf anywhere except on rugs. Wool is magical and nothing soaks into it. It never gets stained. It’s sturdy and resilient. One time Alan got pissed at me for leaving him alone for a long weekend so he pooped on a rug. I need resilience from my home products. With West Elm, I immediately became irritated because I couldn’t figure out how to sort their clearance rugs. With loads of options, I figured there had to be a filter option somewhere. There is no option!! You have to scroll through an endless list of rugs with a clearance “tag” and a price range. To see if they even have an 8×10 in that style, you have to click the “quick look” link. Then you have to select the size. THEN you get to see the actual price, which ends up being out of budget. THEN if you want to find out if it’s wool, you have to click the product description, which takes you to the full product page. And screw you if you happen to forget to click to “open in new tab” because then you’ll have to navigate back to the giant list. West Elm’s regular non-sale rug section is marginally better, offering a handful of filters (none of which are material). I can select a style and a size, but I don’t know if it’s wool until I click through a bunch of links. They decided for me that style is more important than material. “Luxe Shine,” what does that even mean on a rug?? When I searched Wayfair, the experience was totally different. Not only was I able to select every feature I wanted before I looked at any rugs, but I could select simply by size straight from the navigation if I so chose! I understand small companies not having the resources to invest in user testing or in-house digital design talent. 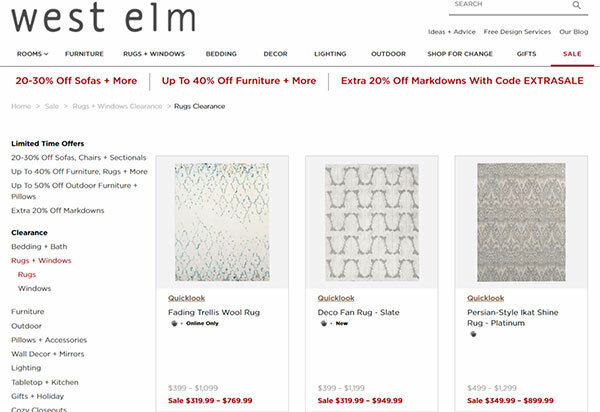 But a pricey, higher-end store like West Elm certainly has the resources to conduct user testing on their website. Perhaps they have, and the rug section was overlooked. It almost feels insulting as a user when you’re trying to give your hard-earned money to a company, and they haven’t put much effort into helping you out. There should be a “website feedback” section of every site. I would use it all the time as a customer (for negative and positive feedback – I actually went in person to visit a brewery simply because I was enthralled with its web design and branding). As a designer, that would also be helpful. Sometimes things are missed or things change. I’ve worked for a large company and I understand this. But I also understand the need to educate everyone on the fact that the web IS continually changing, and as a result, so should your site. My question was answered by Brad Frost! 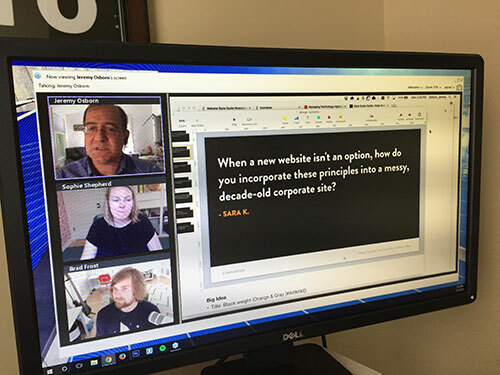 My question about design in the corporate world was selected during yesterday’s webinar with Brad Frost and Sophie Shepherd: Design Systems and Creativity: Unlikely Allies. I was so excited! Although maybe there were only three questions so they were forced to choose mine. In any case, I saw Brad speak about atomic design last year at An Event Apart in Orlando and he really influenced my thinking. Seeing as how I have a degree in journalism and created the editorial style guide for PR Newswire Europe when I worked there, I could NOT believe it hadn’t dawned on me to create a design style guide for my company at the time. I set my mind to creating one as soon as I got back to work! Once I got actually got back to real life in the corporate world, however, I struggled a little because I felt armed with so much knowledge from that conference that I didn’t know where to start. There was so much to do!! Ultimately, I decided to start with improving the site’s accessibility because consistency and good design are great, but if your customers can’t even access and understand your content, what’s the point? I ended up moving to Charleston and leaving that job, but my next big project I was tackling was a design style guide, or pattern library of sorts. Being in the corporate world, this wasn’t as easy as the internet makes it seem. The site was creaking under twisted and hacked widgets, multiple style sheets, outdated content, poor practices in design (such as entire pages being one giant image), and back end devs talking about throwing Bootstrap into the mix on top of everything else. We had nothing close to a design system or pattern library. It was pretty much up to the designer/front end person to make things happen. Thus, it wasn’t exactly possible to simply come up with a nice style sheet and say, “Here’s what we’re doing!” There was talk of getting a new website in the next year or two, but that’s a long time away when you’re thinking of all the new content and pages that will be created. Brad and Sophie suggested in cases like this, it’s easiest to get stakeholder buy-in by getting a team together to collect all the disjointed pieces. For example, collect the many different buttons (or any other design aspect) littered throughout a site and put them all on a sheet to show the wild inconsistencies. It’s a lot easier to make a case when you have visual documentation vs hypothetical situations, and in a situation like this you can immediately see how that type of inconsistency does not reflect the brand. I was really, really excited about working on this at my last company and that’s one of the saddest parts about leaving. That was such a huge opportunity and an area to really make an impact. BUT, Charleston was calling and I’ve wanted to move back down south pretty much my whole life. And hopefully I will get another opportunity to make an impact at a new company! 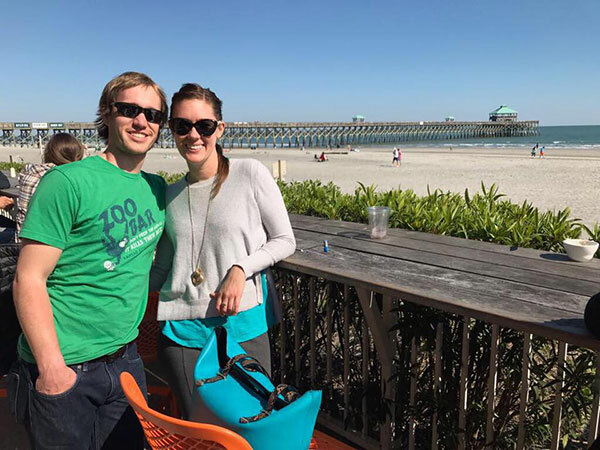 First day as a Charleston resident!! March feels so long ago! My plan for the move was to use my unemployment time to vastly increase my skill set. I have 7 years of experience in digital marketing, and I also feel fairly confident with HTML and CSS. Before I attended An Event Apart last year, digital design was an interest. But once I realized how much power I have as a designer to help the world access information, I knew that’s the path I wanted. As I learned when I was looking for jobs during the recession in 2009, unemployment can be overwhelmingly depressing if you don’t have a plan with specific goals. I do not feel unemployed right now because my full time job is learning, continuing to better my portfolio, and looking for jobs. I work every day from 7:30 to 4 or 5pm. My first goal was to save up enough money to be able to survive for a year should it take me that long to get a job. (Hopefully that’s a gross overestimation!) With that done, we moved to Charleston!!!! My next goal was the most crucial and detailed. I am a big fan of calendaring my time. If I only have a list of things to do, it’s easy for me to skip over some or just bump them to tomorrow’s to do list. I end up skipping things and losing track. Instead, I bought a planner that I can write tasks by the hour. (As much as I love digital – for some reason I need to write down my to do list.) This has allowed me to break my studying into manageable chunks and also track exactly how long it’s going to take me to do which courses and where I should supplement. And, as a bonus to myself, I schedule in an hour workout every day. I’m following the Blogilates by Cassey Ho calendar. It is FANTASTIC. Getting in a hard workout early in the day makes me feel strong mentally, too! I think this has been a key part of working at home. 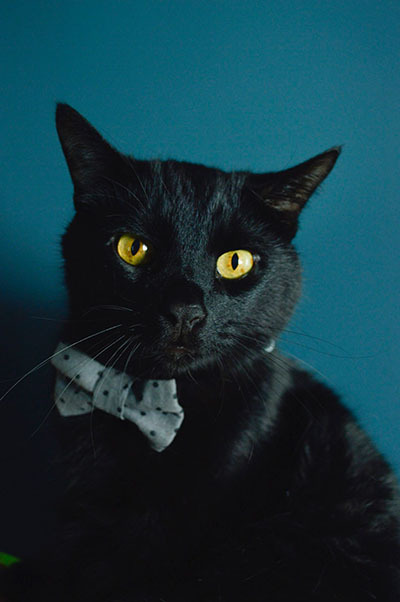 Also, I get to work with my cat and that is pretty cool.